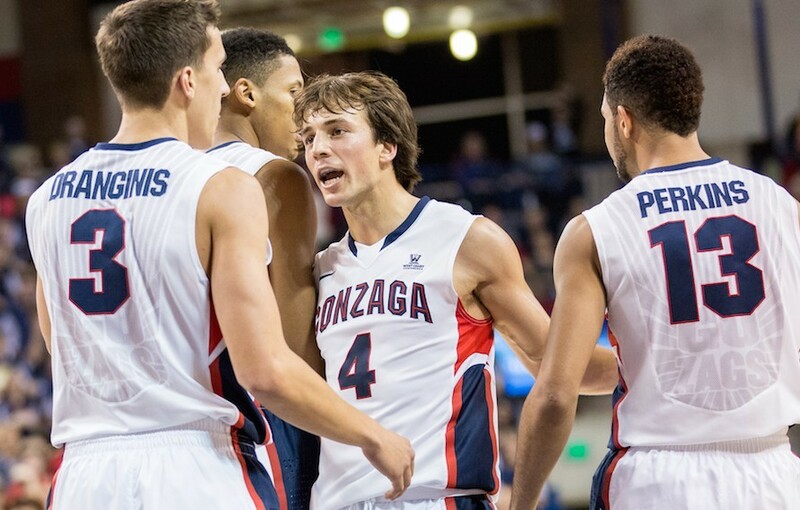 Kevin Pangos and the Zags are regular season conference champs — again. Gonzaga was bound to have a nail-biter eventually, and they got it Saturday night at St. Mary's. No shocker there, given St. Mary's success in recent years, but the Zags seemed to be on a Kyle Wiltjer-driven roll in California when tip-off came on Saturday night. Then they fell immediately behind, eventually trailing by 17 thanks to poor shooting and shoddy defense, before storming back late to take down the Gaels and clinch the conference regular season championship. You can call this year's Zags many things — deep, prolific on offense, really, really good in the hair department — and this game proved you can call them resilient as well. Wiltjer, coming off a 45-point night, had two at halftime, but finished with 16 (and 12 rebounds, including every significant one the last few minutes). Kevin Pangos had 14 points and seven assists. The news for the Eastern Washington hoops squad wasn't quite as good. They headed into the weekend with the conference lead in the standings, but a tough loss at Northern Arizona has them basically tied with Sacramento St. and Montana for Big Sky supremacy and the chance to host the conference tournament. And after their win, Northern Arizona is suddenly in the thick of things, too. EWU hosts Montana St. and Montana Thursday and Saturday in two huge games to close out their home schedule. Ernie Kent's first season in Pullman should be viewed as a success already, given the Cougs dismal expectations at the start of the season. But Sunday's loss to the rival UW Huskies, who were in the midst of an epic collapse via seven-game losing streak, has gotta hurt. No way the Cougars should have lost at home. Hopefully it's a lesson learned as the team stumbles toward the Pac-12 tourney. They play USC on Wednesday.